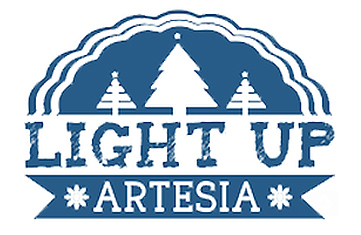 With temperatures forecast to reach around 75 degrees, the weather outside won’t be the least bit frightful Thursday when Artesia MainStreet welcomes citizens downtown for its annual Light Up Artesia event. Residents will have the opportunity to welcome the Christmas season amidst a twinkling backdrop of holiday lights in the downtown district, and that tribute to exterior illumination will only be enhanced by the event’s kickoff: the Xcel Energy Parade of Lights. The parade features a variety of brightly-decorated floats crafted by local businesses and organizations, and will depart Bulldog Bowl at 6 p.m. before heading east on Main Street to First Street. After enjoying the parade, Artesians will be able to stroll the downtown area, taking advantage of Christmas shopping deals as they go. Local merchants will be keeping their doors open late – until around 8:30 p.m., to be exact – and offering specials and sales to help residents check a few more boxes off their lists. In addition, sidewalk vendors will be posted throughout the area, offering not only unique gifts by local crafters and artisans but tasty treats, hot cocoa, hot chai, and more. “Our downtown restaurants will also all be open so people can stop and have dinner,” said Elisabeth Jackson, executive director of Artesia MainStreet. The event will also feature entertainment by the Artesia High School band and choir. The former will be featured in the Parade of Lights, while the latter will perform Christmas music at 6:30 p.m. at The Derrick Floor at Sixth and Main streets. Additionally, at the conclusion of the parade, Santa Claus – who will make his entrance as the final parade entry – will set up shop at the Ocotillo Performing Arts Center to take holiday requests and pose for photos. Parents are free to take their own photos of their children with Santa at the OPAC. Bennie’s Western Wear will also be hosting Santa Claus. “We hope everyone comes downtown and enjoys the holiday festivities with their family,” Jackson said.